As the kids go back to school and weather changes we start to see more viral illnesses making folks miserable! For many of these illnesses the best prevention we have is frequent hand washing and reminding kids to cough into their elbows and not to share drinks or utensils. 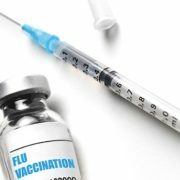 For influenza we can greatly reduce the chance we will be down for the count by getting a vaccination before the flu season hits.